**Thank you so much to Meijer for sponsoring this post! Thank you for always supporting brands that support this blog! Hey all and happy Thursday! Been a crazy week over here, definitely dealing with some personal things happening at the moment, but just trying to sort it all out and move through the week! Hope you all are having a great week so far and have some fun things planned! 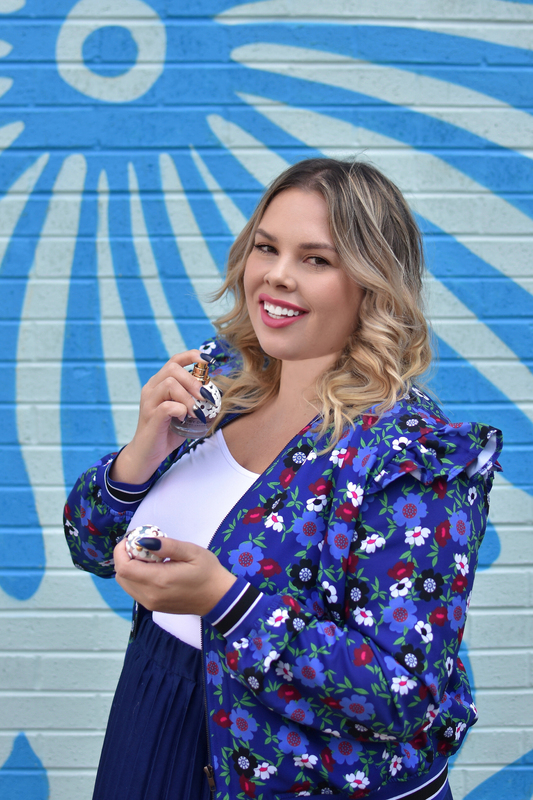 It is for sure no secret that I love beauty products and I love trying out new ones whenever I can! But, I also love reusing a beauty product when I know it worked well for me! 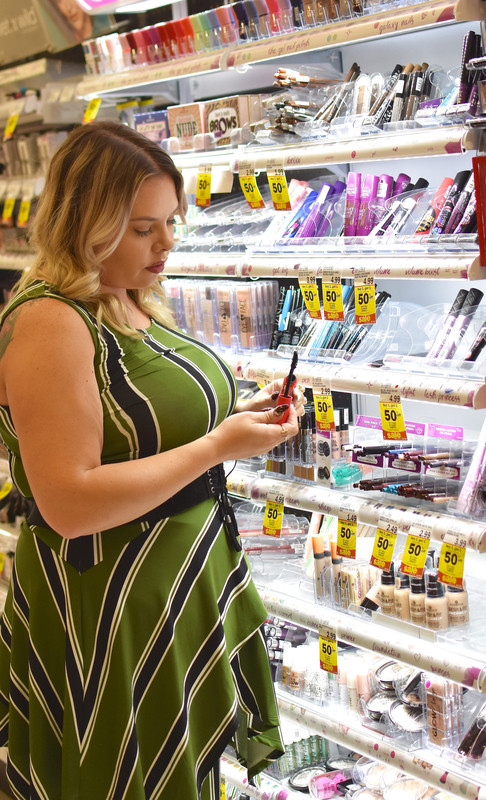 As you know, I did a fun post with Meijer recently where I talked about fashion for everyBODY and how you could find fun trends at affordable prices! Switching gears a bit here by delving a bit more into beauty and how I take my beauty with me on-the-go. 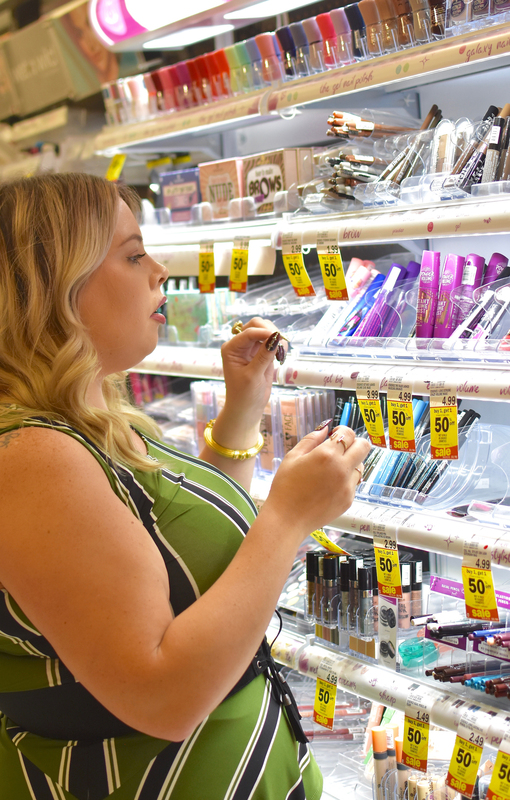 Meijer is in the midst of their Beauty Week, where they have pretty awesome daily deals throughout their entire beauty section. That includes hair products, fragrances, makeup, hair tools, and more. I am sharing (below) with you some of my favorite finds from the sale and how I use them in my daily life. Most of my beauty routine is actually done when I am not home, and I tend to have doubles of most products, so that I can complete my beauty routine while out and about. 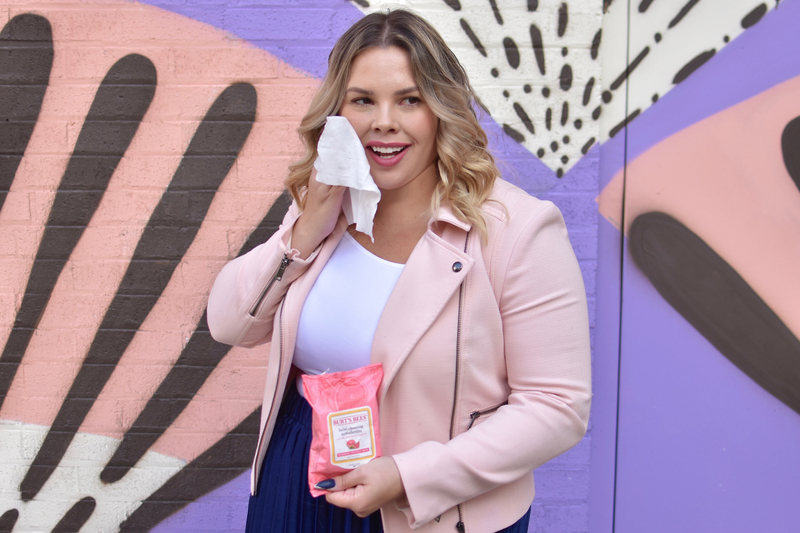 Since I know so many women cannot always find time in the mornings (or at night) to finish their whole beauty routine, I figured sharing some of my tips for on-the-go beauty would be helpful! Dry shampoo is probably my most used product in my purse and I honestly carry it everywhere with me! I tend to touch/play with my hair literally all the time… especially when a photoshoot is involved. I learned early on in blogging that I have to always have dry shampoo with me, because by the 5th or 6th shoot, my hair starts to look a bit greasy. While I was still working outside of my home every day, I also had crazy long days…. upwards of 13 hours and dry shampoo saved my hair more times than I can count. My ride or die for the past few years has always been Batiste Dry Shampoo. I seriously use it all the time and have a bottle for my purse and one for my house. I love the scents they offer and how easily it blends into hair after brushing or tousling with my fingers. I love it because it doesn’t just cover up greasiness, it also helps give a little volume and lift to the hair… plus it also makes you smell like you just showered! I have actually done this since college… and I still swear by it! I carry some sort of perfume with me almost everywhere I go! I actually sometimes leave one in my car as well (except during Chicago winters) to make sure that I can refresh between work and an event, or some similar combination. I love to have a variety of perfumes and I switch them out based on my mood, or something what I am wearing! 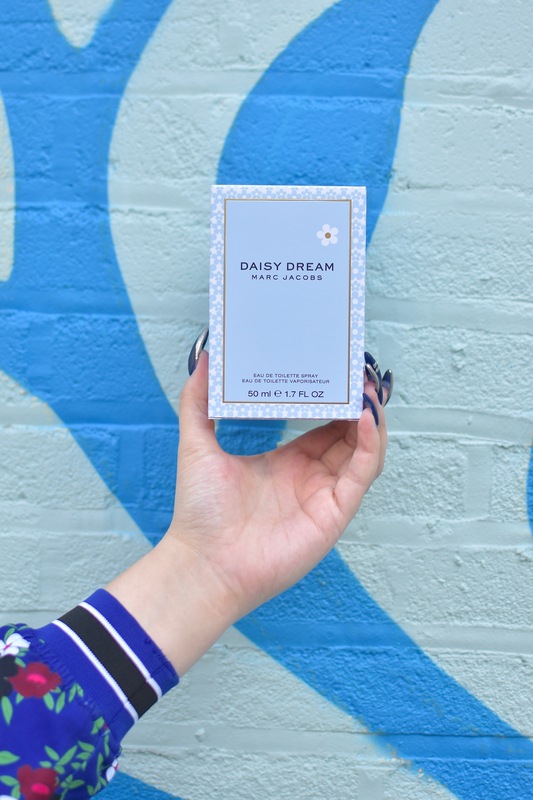 “Daisy Dream” is one of my go-to scents for when I am wearing florals or just need a really nice scent to carry me through a nighttime event. I stocked up on a few perfumes during the Meijer Beauty Event… since they were all on sale! I tend to wait to buy my perfumes when I can find them slightly discounted, as it allows for me to have a greater variety throughout the year! I was honestly impressed with the selection at Meijer: They had everything from Burberry, Dolce & Gabbana, Juicy Couture, and so many other brands. I really enjoy being able to buy my fragrances and beauty products in one place, that way I am not spending more time in my car (and not using more perfume haha)! 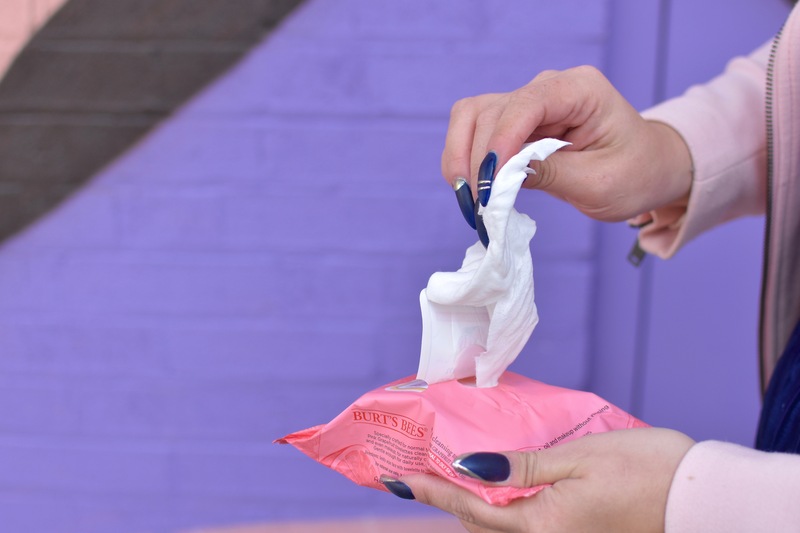 If there is another thing I learned from daily makeup wearing, and heavy makeup wearing for photoshoots and events… it’s to carry makeup remover wipes in your purse, your car, and literally anywhere you can take it off immediately after. Seriously, there is no better feeling than getting all of that makeup off before even getting home! 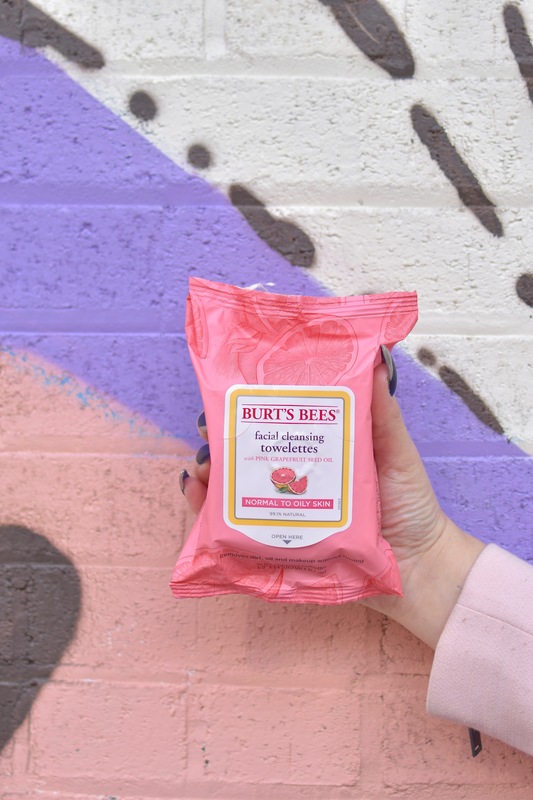 I discovered these wipes from Burt’s Bees a few years ago, and the grapefruit is my absolute favorite scent ever! I love being able to wipe off my face and still have it smell amazing after! But in all honesty, these have saved my skin. I take off my makeup sometimes an hour or two earlier than I normally would, and it also prevents me from possibly sleeping in my makeup as well! I don’t use this as much as everything else on-the-go, but it is still used all the time. Truth be told, I tried to get some shots of me using it as well…. but there is no pretty (or graceful) way to capture rose water being sprayed onto my face! Although I don’t use it as much, it is probably one of the best products I decided to start carrying around with me. My skin tends to be a bit more pigmented/red, especially before and after I put on my makeup. It’s great to help reduce that redness and calm my skin, plus it also helps calm me as well. There is something about the scent and the spray that really calms everything. Long days really take a toll on me and my skin, and sometimes a nice spritz of this just really helps to refresh me throughout a long day. I had never tried the Garnier brand of rose water facial mist before, but since it was part of the Meijer Beauty sale (and had tons of amazing reviews), I figured I would give it a shot. I ended up going back to buy a second bottle solely for my purse, so that I could have it with me all the time. I loved that it was a bit more concentrated, and it really left my skin glowing after use. This is coming from someone who had lash extensions for almost two years, but finding a reliable (and affordable) mascara and primer is so crucial! Prior to lash extensions, I used to spend a ton on mascara and swore by designer brands, until I switched to drugstore and found some amazingly reliable brands. 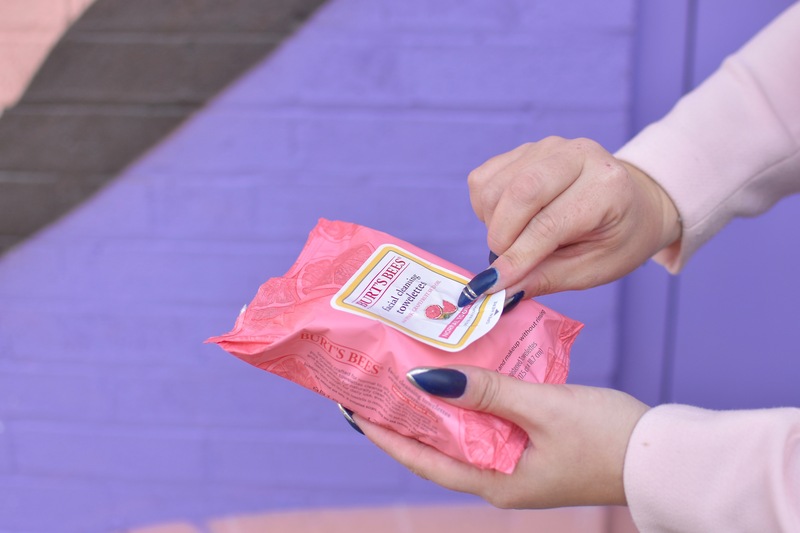 I heard of Essence after reading about it on one of those “29 beauty products to try before you die” articles…. you know the ones I am referring to! It was so hard to find, and most stores still only carried it online. Thankfully, now I know Meijer carries it in store and I never have to order it again… so I just stock up when I’m there! The primer is pretty much my holy grail beauty product and works just as well as, if not better, than the designer primers I had used in the past. Since taking my extensions off about 4 months ago, my lashes are still healing a need a little help. This primer really helps build them up and strengthen them, so that they stay full and voluminous… plus the smell of it is amazing! The false lashes mascara is a recent find and one I am slowly starting to love. I really loved the brush (hence all the photos of me looking at the mascara wands) and that is what ended up selling me on this one! To me, the brush is the be all, end all of buying mascara! All of these sound amazing! I want to try the rosewater. & I love the Daisy line, it is such a fun and flirty scent! I do a similar thing with my perfumes too! I carry it with me! In fact, I actually buy the small rollerball versions of the perfumes I like and I carry that with me – much more travel-friendly. I love the rollerball perfumes, I feel like they’re less likely to break. 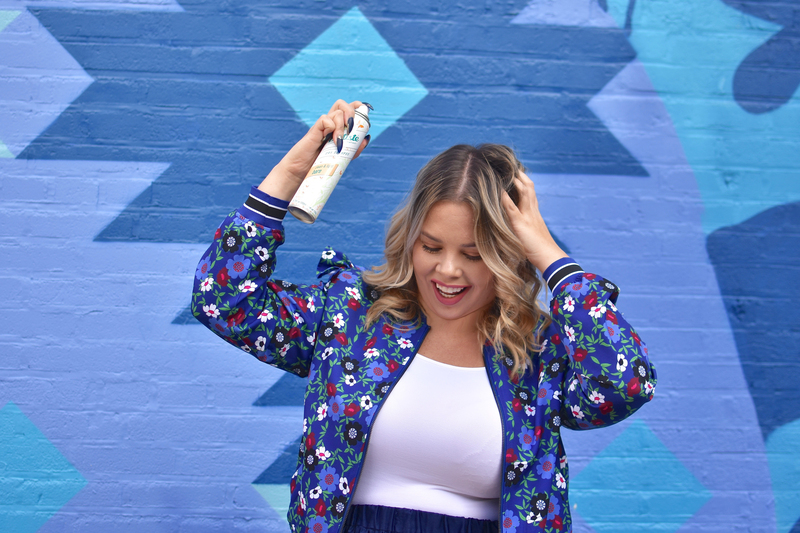 I love Batiste dry shampoo, it’s my go-to for traveling! dry shampoo is seriously a must have – wish this was around when i was a teen! That dry shamooo is my favorite! I use it all the time! Burt’s Bee is a great brand, as well as Garnier. I always use a lip balm from Burt’s Bees and I love it. 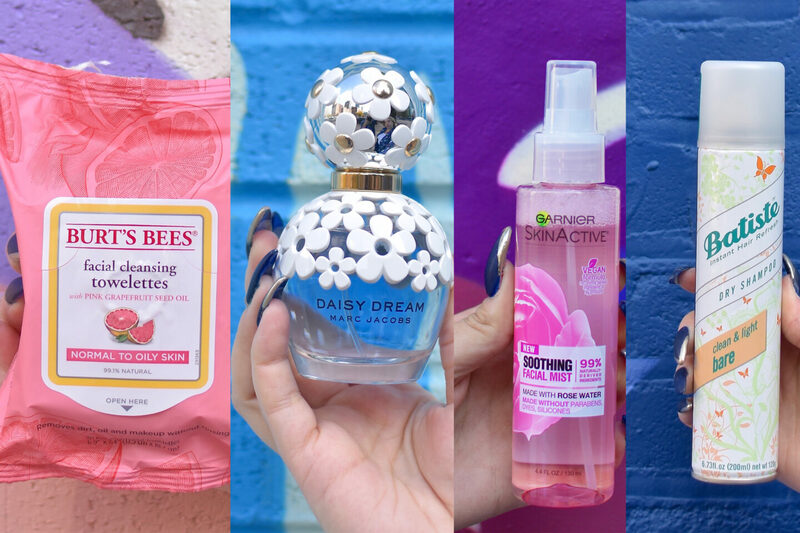 Ummm yes yes YES to all of these mega fabulous and affordable products that will make your life even better. I especially agree with the dry shampoo and the rose facial mist bits! So important to have around. All these products sound amazing!! Loving them! I am a great fan of Burt Bees! I love Burts Bees and Batiste! I keep coming back to them because I know that they work, so I definitely understand that feeling! Very beautiful photography as well. Thank you for sharing! DAISY DREAM is my very favorite thing!!! I love this perfume bottle! So many great items all in one post!! I definitely need to try the pink wipes and the Marc Jacobs perfume! Dry shampoo is a must! My husband has longer hair and he is especially guilty of always touching his hair. I will have him try out this dry shampoo. Love Meijer!! We don’t have them down here, but I love going to Meijer when I visit Michigan with my bff’s fam. 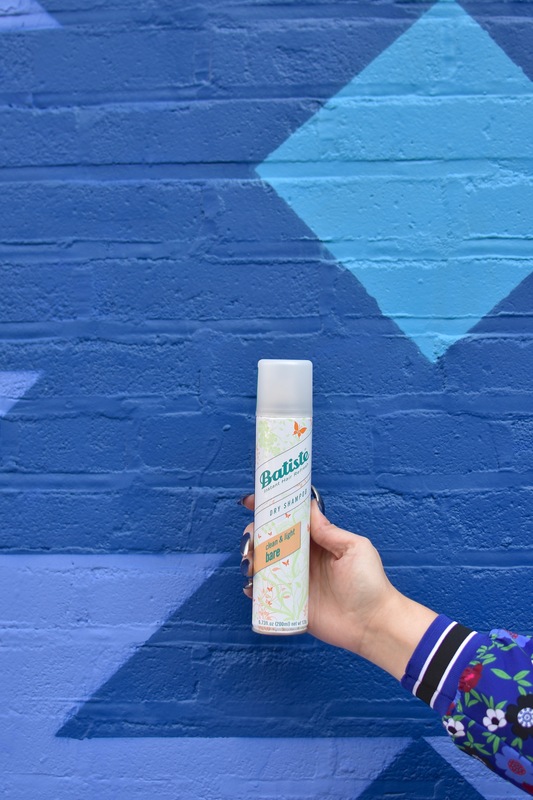 Burt’s Bees wipes are amazing and I loveee Batiste Dry Shampoo! These are such great must haves! I love that perfume too – such a staple! I love Meijer! I totally need to try those Burt’s Bees face wipes. They have a great selection of products. If I’m ever near one, I’ll make sure to stop by. Oh!!! I need that daisy scent!